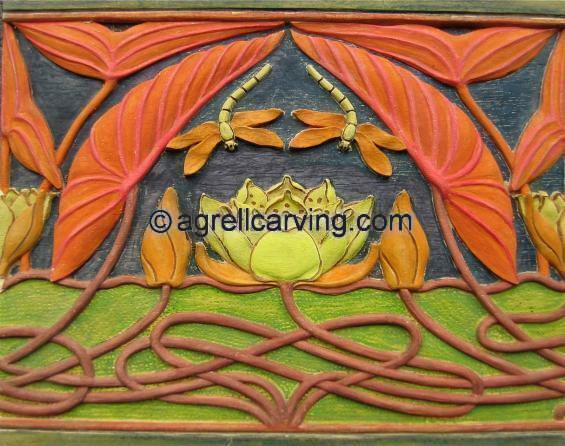 Description: Carved and painted wood dragonfly headboard detail. Design by Verneuil. Carved by Agrell Architectural carving. Read more about Dragonfly headboard.